Using a range of HGV’s we supply specialist transport services throughout the UK and into Europe. 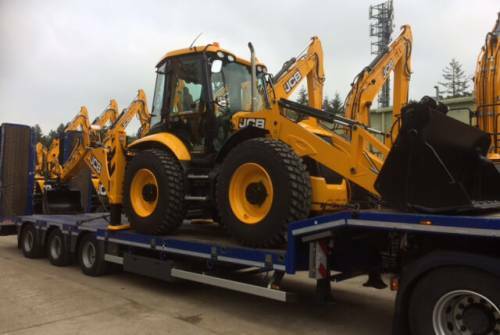 Whether you are moving your own machine from site to site in the South East of England, or have a fleet of equipment to deliver to Barcelona, we have the expertise you need. Using Artics and Rigids we provide a comprehensive service for your transport requirements. Our Beavertail 6-wheeler with Hiab is extremely versatile and even non-runners are easily loaded by winch on to our Lowloaders. Based in Surrey, we operate out of our central office, with each load being specially priced according to the mileage involved. To reduce the client’s costs we liaise with a network of freight forwarders to find backloads whenever possible. Diverse clients include local plant hire companies, television and media networks, construction companies, sole traders and householders, to list just a few. Call us to discuss your transport requirements.